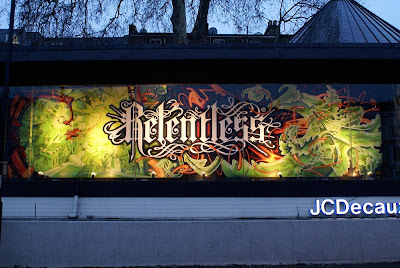 Relentless energy drink (coca cola schweppes) billboard painted over 2 days by chu and myself. The whole piece was a freestyle with just the can artwork as inspiration. The site is located on cromwell road near earls court and is up for 2 weeks.